New cover, House of Anansi, 2014. Original cover, Penguin Canada 2004. 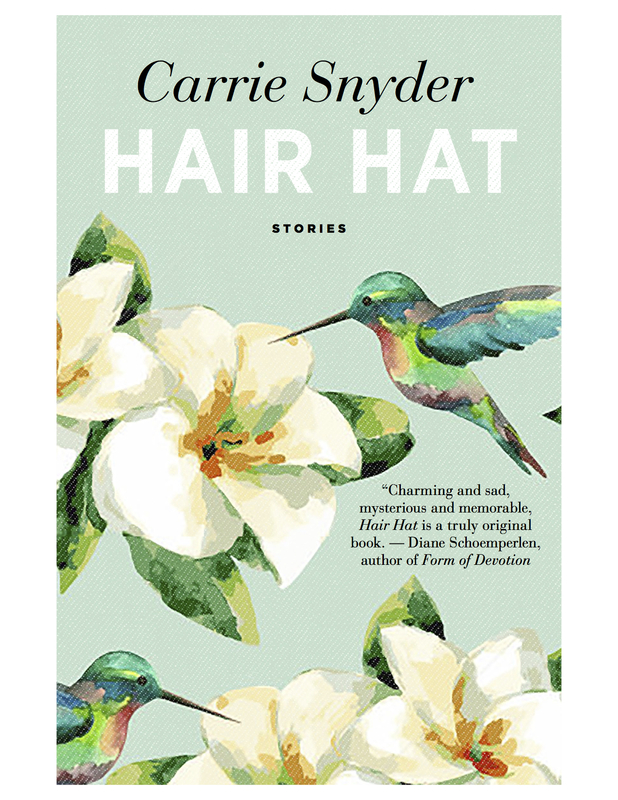 〉 Originally published by Penguin Canada, 2004, Hair Hat is being re-released as an ebook by House of Anansi, Fall, 2014. In these mysterious and wondrous stories, eleven disparate people, some of them related, some of them neighbours, glancing acquaintances, or even complete strangers, are transformed by a man with hair shaped like a hat. 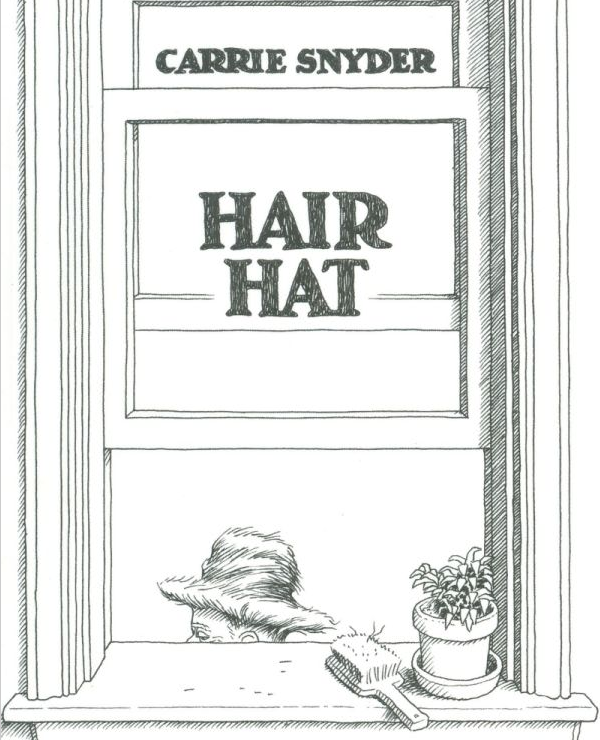 〉 Hair Hat was Carrie’s first book. It was a finalist for the 2004 Danuta Gleed Award for short fiction.